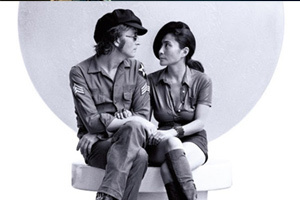 This ground-breaking film is a collage of colour, sound, dream and reality, comprising unique footage of John Lennon and Yoko Ono during the making of the Imagine album, and features the music of that iconic release with elements of Yoko’s ‘Fly’ album. The film has been restored frame-by-frame, from the original reels with the audio remix done by multi-Grammy Award winner, Paul Hicks. Followed by cinema-exclusive, never-before-seen extras in the form of studio footage of John and his band.